Bea Britt lives alone in her grandmother's house in west Oslo. Early one morning, she wakes to find a police hunt outside her window and drama unfolding on her TV. Volunteers are scouring the local woods looking for Emilie, a missing schoolgirl. Emilie's rucksack is found in Bea Britt's garden. But as her spiralling doubts and suspicions take over, is she a suspect, a witness or a potential second victim? The mystery of Emilie's disappearance and Bea Britt's story are intricately bound to the lives of two other women: Bea Britt's grandmother Cecilie, a troubled 1930s housewife whose marriage has broken down, and university student Beate, who is desperate for love but plagued by uncertainty. 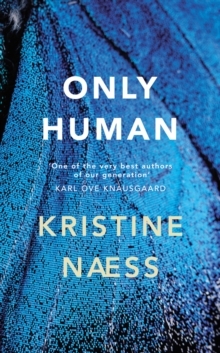 Only Human is a rich, urgent novel about family, enduring oneself and others, and what is needed when life wears thin. It lays bare the hopes, dreams, fears and failures of three infinitely human characters, and is delicately revealing of the choices that shape a human life and our quest for companionship and love.